Blade of Queen will undergo an update for S1-S118 to improve and provide better game experience, which starts at 2:00 Feb.01 (PST). This update lasts about 15 minutes after the in-game announcement. 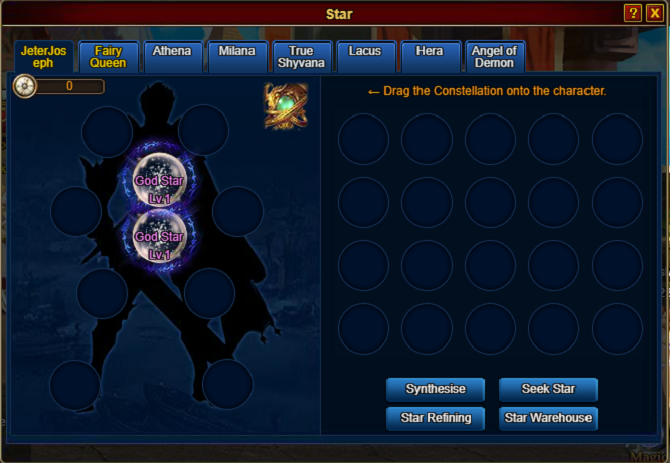 God Star in the second slot can also provide percentage bonus on star attributes, and the percentage bonus can stack when two God Stars are equipped. 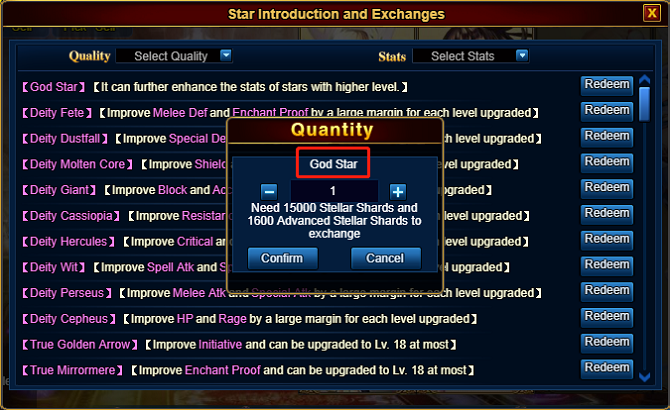 E.g If two 15% God Stars with Dodge attribute have been equipped, the final bonus will be 15%+15%=30%. 1. Improve the Icy Souvenir activity. The activity time will be prolonged to 10 days. Ultimate reward can be reached as long as there are 7 day recharges within the 10-day event. 2. Improve the Star Exchange. The star names will be displayed on the exchange window now. 1. Fixed the bug of constant one-key plant red dot reminder during Plant Bonus. 2. Fixed the bug that chatting bubble can't be hidden.